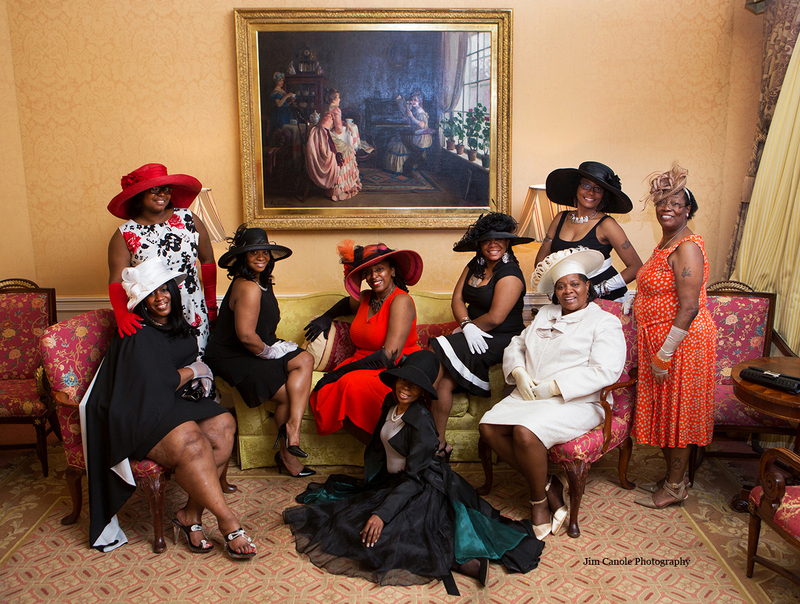 Today might have been the 142nd running of the country’s greatest horse race, but the Kentucky Derby women and their stylish hats had nothing on this group of women I came across, last weekend. I arrived at Boston’s Taj hotel to shoot an event when I spotted them finishing up their ‘nice tea’ and asked if I could photograph them. This group of self-described ‘divas’ has met monthly since 1997 partaking in a variety of activities. Some, like this event, have particular themes. I don’t think I have to tell you what that theme was!